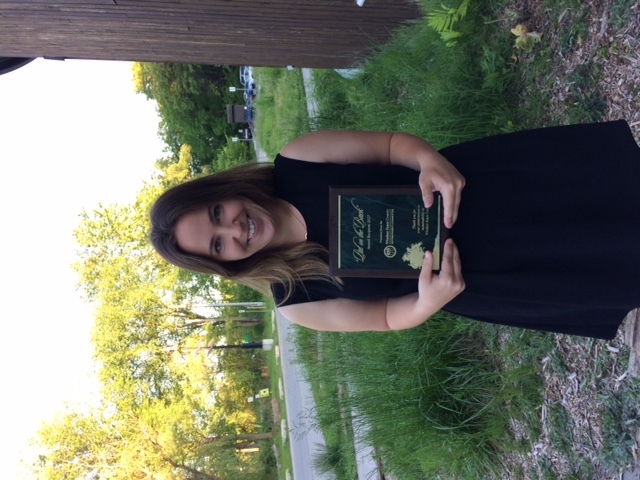 Our Education Coordinator, Sarah Keating, with an award from the Windsor Essex County Environment Committee. 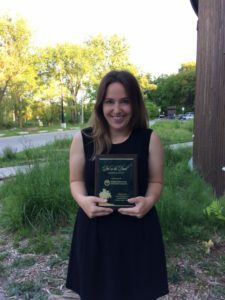 PIBO received a “Pat on the Back” award for our education program in 2017. A strong component of the PIBO mandate is to educate. Programs linking PIBO staff with teachers and students help to give knowledge to, and inspire, the next generation of bird stewards. 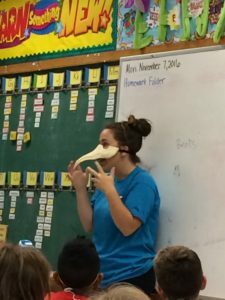 There are many ways classes can connect with PIBO biologists to learn about birds, migration monitoring, and environmental stewardship, through curriculum-linked presentations and activities. PIBO biologist Sumiko Onishi gives a bird banding demonstration for guests at the banding station. 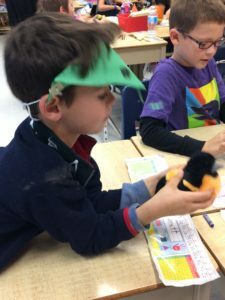 Each fall, the PIBO Education Coordinator visits classrooms across Southern Ontario to give a presentation on migration monitoring, species at risk, and avian conservation. 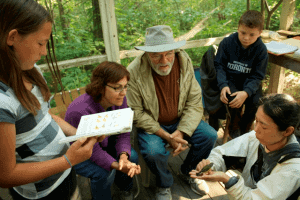 For 2016 Pelee Island Bird Observatory’s Education Program has been implemented to engage students from kindergarten to grade 12 in bird conservation, and migratory bird stewardship. 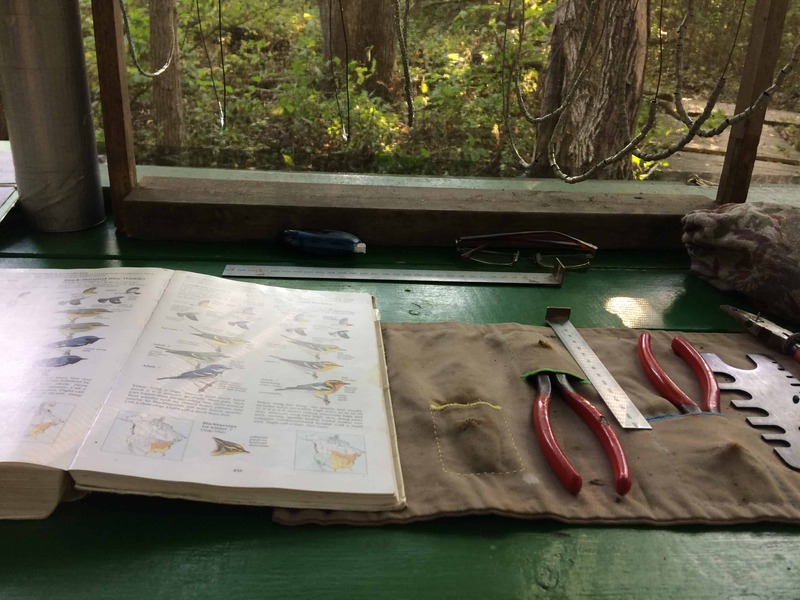 Through interactive lessons, we get students outside cooperating with peers and delving into concepts of migratory flyways, conservation of bird stopover sites, landscape change, and characteristics of avian species. PIBO’s education program promotes questioning and connecting student’s daily choices with a song bird’s migration journey. 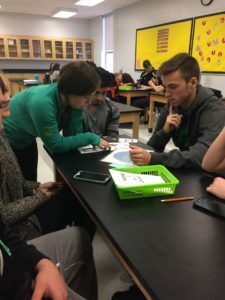 Throughout the seven weeks this program ran in the fall, approximately 80 classes were reached with in-class visits and online lesson experiences including 25 different schools, 4 different school boards, and all together almost 2000 students. 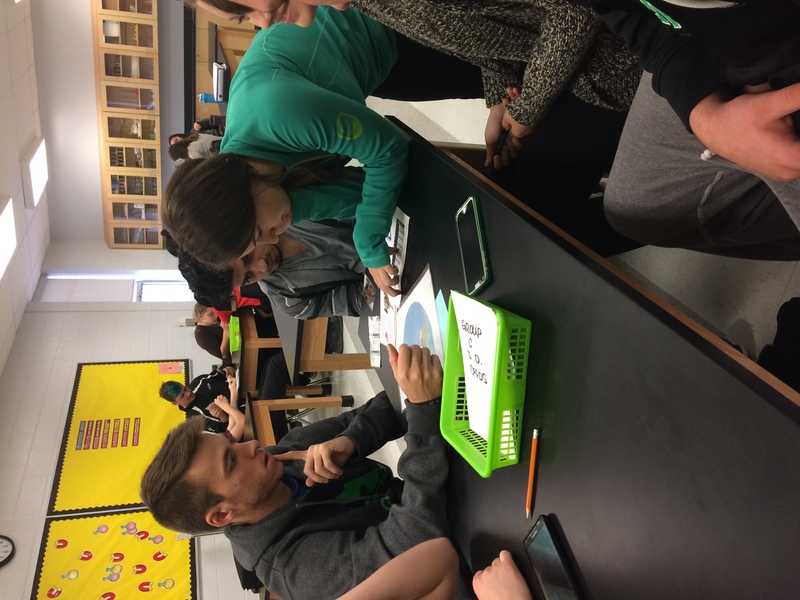 Each session engages students in a hands on activity that facilitates discussion on concepts such as perils of song bird migration, the importance of migratory stopover sites, the value of ongoing research on Pelee Island, and how students can become an “avian ally” with small changes in their own life. 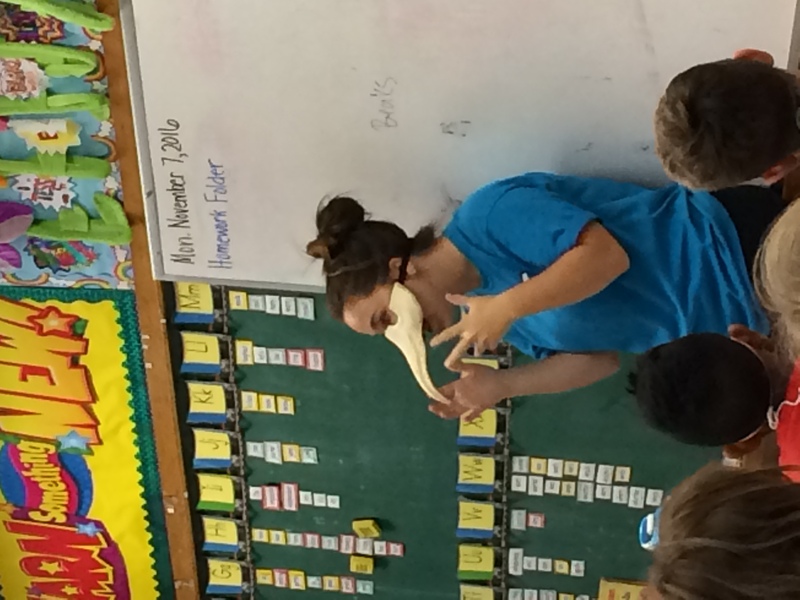 Our primary grade based program focuses on educating students on specialized characteristics of birds and fostering an appreciation and sense of wonder about how birds fly so far during their migration journey and other special adaptations of their physical body and behaviors. Within these ideas we discuss migration dangers and how landscape change and climate change impact birds along their migration. 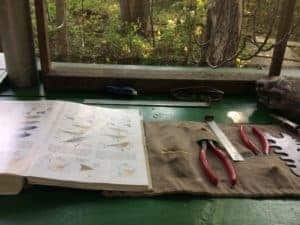 Our intermediate grade based program takes these ideas one step further by looking at actual data obtained by researchers on Pelee Island to analyze and interpret trends of migratory bird count data, focusing on reasons behind the declining trends within this data. Since it is not always possible for classes to visit PIBO, or for PIBO staff to visit schools, we have a on-line distance education program to extend the reach of our educational programming. In 2016 the success of our online-experience program allowed us to connect with 23 classes that we were unable to travel to, or were unable to travel to the Island. These included classes from the Greater Essex County School Board, Thames Valley District School Board, Upper Grand District School Board, and the Toronto District School Board. Students were able to see through an online conferencing tool how researchers band birds, what certain equipment looks like, and ask researchers questions about migratory birds and Pelee Island. Through this program, students will have a chance to see birds being banded in real time, and to interact with the PIBO biologists. If you are an educator from within or outside of Essex County interested in video conferencing with PIBO, please contact us (education@pibo.ca) for more info. 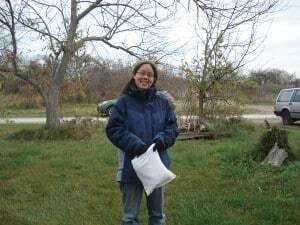 PIBO biologist Sachi Schott worked behind the scenes to monitor the mist nets and ensure we had birds to band during our video conference with the students.